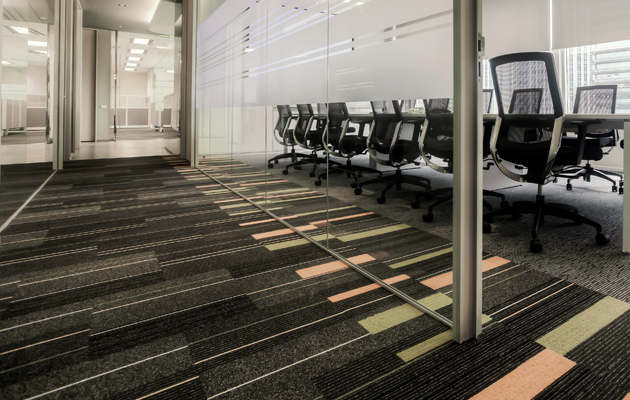 If you’re wondering whether to purchase a carpet or hard flooring this article will be useful. I have described the benefits and flaws of having a carpet. Rugs, carpets, mats, area rugs off of these is referred as textile flooring which it a perfect addition to your home interior. It brings warmth and comfort – makes you feel relaxed and calm, just the way you have to feel when you get home from a hard day of work. Some people say that hardwood flooring can do the same thing, but I personally can’t agree, although wood can connect you to nature and make you feel like you’re in a forest. You can’t be objective about these kind of things, it is the same about everything – from the type of dishes, through the paint of each room to the material for upholstering the furniture and the fabric for the curtains. Having a carpet is both good and bad thing because textile flooring has advantages as well as disadvantages. Well we’ll start with the advantages – we talked about beauty and style, but they are subjective so it is time for something more real. The first thing is warmth, carpets are great insulators so it will keep your feet warm during the cold months and it will also save you money from the electricity bill. It is also the favourite playground for your children and admit it, you too like to spend time sitting on the textile flooring sometimes. Talking about children it is wise to have a carpet because they fall a lot and what better way to protect them form injury than with a soft carpet, moreover rugs and mats absorb noise. Well I guess these are the advantages, now to talk a little about disadvantages – cleaning is probably the only one and that is the reason people prefer hard flooring. To be honest it is not such a big deal, you have to daily vacuum them which will take no more than ten minutes. This has to be done because carpets attract a lot of dust and dirt which may lead to discolouration, mold and the worst – dust mite development. Ten minutes is all you need to protect your health and the health of your loved ones. I don’t think there is need to explain that stains have to be cleaned as soon as possible before they can penetrate deep into the fibres of the carpets. There are plenty of detergents on the market but I recommend you seek green ones because they contain less or none dangerous chemicals. Watch out for a sign saying ‘trade secret’ – avoid those cleaning solutions. Of course, there will be the occasional deep cleaning which has to be done once every few months. There are two basic ways to deep clean a carpet – wet and dry cleaning. As the first one is more thorough. You have two options to do it by yourself or to hire a professional carpet cleaning company. My advice is to go for the second, because that way you don’t risk damaging the textile flooring.